I am using Moldflow for gas assisted injection molding and after more than 350 parts studied with this software, I can say that the correlation between theory and practice. In some countries, the injection molders need rheological studies when they have problems in practice and are considering these studies as too expensive but refuse to evaluate the costs of all trials. 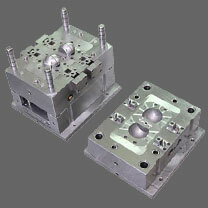 In some other countries, the mold maker receives all data to cut the injection mold with theoretical results. For most of the parts I studied, I sent the gate position, hot runners diameters, gas injector position and cooling channel IGES file with flow rate and pressure. Most moldflow simulation software is capable to calculate on a very accurate way. The only problem is that the operator must really understand plastics, product design, mold design and what happens in the production. If the operator doesn't have these skills then you get only nice pictures which everybody can make when he knows how to work with the moldflow analysis software. I have the experience that a good mold flow analysis will need enough time and enough different simulations. I really do not understand how most of the simulations are made within one setting. How do you know this is the correct one. Most calculations are made with the simplest cooling circuits and we all know that in the practice this is almost not possible. It is not the moldflow software who determines the quality of the simulation but it is the operator who does. I have more than 25 year of experience in injection molding and 3 years ago I invested in a mold flow simulation software. Since day one the feedback of my customer is very positive. They get a report with conclusions, advice and enough feed-back so that they know that they get and nit just have the feeling, damn. I don't know what this picture is telling me and I will not be the fool who will ask. The result is that the report is archived vertically.